The Jaybird X2-S Headphones are compact in size and feature comfortable ear buds. This pair of Bluetooth Sports earphones offer superior audio performance. On a single charge, these wired earphones can run up to 8 hours. 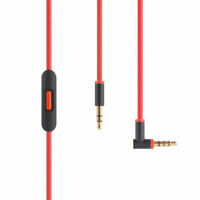 Available, in midnight black, these sports earphones can be carried along when traveling, jogging or working out. Excellent seller, responsive, speedy delivery. I highly recommend! GREAT CUSTOMER SERVICE RESOLVED ALL MY NEED, RECOMMENDED! Great item and easy transaction! Will purchase more items from the seller! I loved my last set of Jay Bird x 2s!! Lasted 2 years. I was skeptical to order refurbished. But they look and sound brand new!! Really high quality sound from Jay Bird!!! Sounds good, didn't stay put well enough for me. 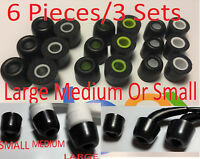 If you like headphone fit to be more "pressed into your ears" then these aren't for you. 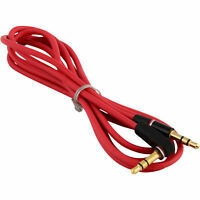 The sound quality is good, but small disturbances to the cord will cause the headphones to lose the pressed-in fit they're capable of achieving when you find the right combination of tips & wings. This might not be a problem if you wear the cord under your chin and just run, but I don't just run, and there was no way I found to wear the cord that fully prevented it from being disturbed during a typical workout; it would snag on my head, my neck, my hair, my shirt, or just be acted on by gravity (like by lying on a bench, being sideways, etc). Consequently, I found myself pressing the buds into my ears every few minutes, and ultimately too distracted to keep using them. 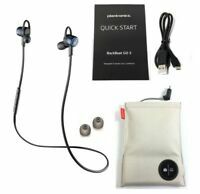 Great headphones, attractive, great sound quality, and very easy to pair with any bluetooth enabled devices. However, here are the issues I ran into: 1) Sweat that will inevitably run into your ears from running or from other activities, loosens the seal that the rubber inserts have in your ear. As a result, they tend to pop out or gradually push out of your ears during the duration of your workout. 2) The other issue I ran into is with the battery. Now, the battery is actually quite good--lasts for about 5 days or so. The only issue is the warning it gives you when the battery is low. The warning is not really much of a warning, as the device just shuts down maybe 5 -10 minutes after announcing it's low. 3) The headphone's themselves, when anchored in your years, makes you look a bit goofy. The headphone's kind of jut out like Shrek ears. This was my first set of bluetooth earbuds. I'm very happy with them, however they could be a little louder. The range of the buds is pretty good. I can set my phone down and walk away from it and it doesn't breakup. Very comfy, can't really tell I have them in. They seem to slip out a little when I'm outside in the heat. My guess it's because of the sweat. I'm comparing these to my Bose wired buds. Good Quality BUT Constant static noise. Right when i got these headphones there was a constant static noise whenever i played music or had sound and at first i didnt notice but then it seems like its been getting louder. Ive tried resetting and it never worked. 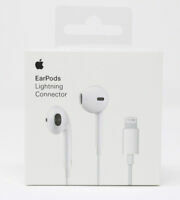 The Earbuds have amazing Sound quality as well. I feel as if my eats hurt more because of the wings but im not gonna use them as much anymore.